Editor’s Note: To celebrate the kickoff of the 2019 Giant Fly Sale, here’s a great classic podcast about choosing the right fly for a given situation. This week, I interview aquatic biologist and fly fisher Peter Stitcher, who not only has a great way of organizing fly boxes (a question I have always neglected to answer properly), but he also has some great guidance on how to figure out what is in the river and how to pick a fly from your box that will do the best job of imitating that insect—without any detailed knowledge of entomology. If you learn his acronyms PAUSE and MATCH, I am convinced you will have all the knowledge you need to be more successful. Listen to the podcast to learn what these acronyms mean. Can I use my steelhead reel in salt water? 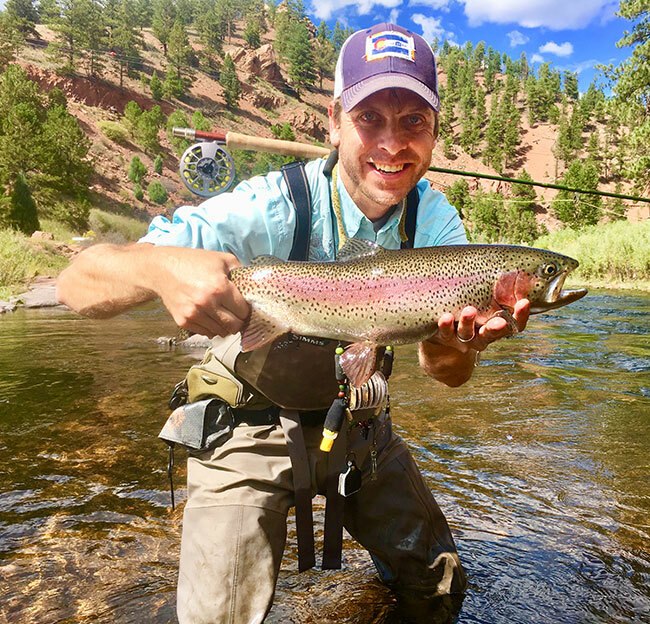 Peter Stitcher with a gorgeous rainbow. If you’re interested in picking up a copy of Peter’s video, “Creating Order in Your Fly Box,” click here. Previous articleThe Orvis Giant Fly Sale: 20% Off Everything!